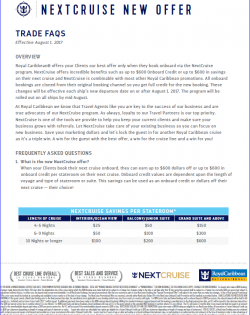 Welcome to the exciting Royal Caribbean Onboard Sales website where you can find all the information you will need to know about our NextCruise onboard sales program. 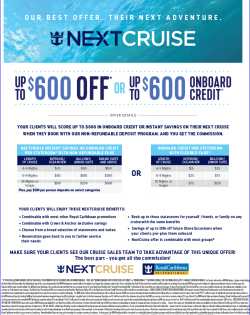 Royal Caribbean's NextCruise program is our most rich offer by giving your Clients up to $600 in Savings which can be used as Dollars Off or an Onboard Credit - their choice! 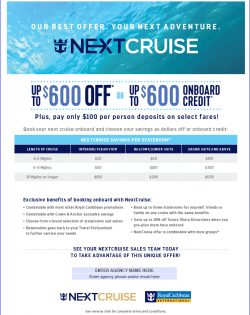 Additionally, this savings is combinable with most other Royal Caribbean promotions making our NextCruise program the absolute best offer around. Plus, pay only $100 per person deposits on select fares! We also ensure your Clients are rebooked through the same channel they originally came with so you get full credit for the booking. Let us do the work for you and send you the new booking confirmation. All you need to do is talk to your Client about NextCruise before they step onboard. 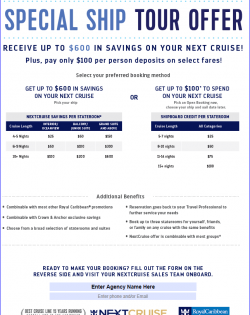 Get up to $600 dollars off or onboard credit! Book Now and get 50% OFF your Second Guest plus Kids sail FREE! Plus only $100 per person deposits on select fares! Imagine what you could do with up to $600 in Savings or Onboard Credit Today! Joe Petkunas Sr Manager - Anywhere Inc. 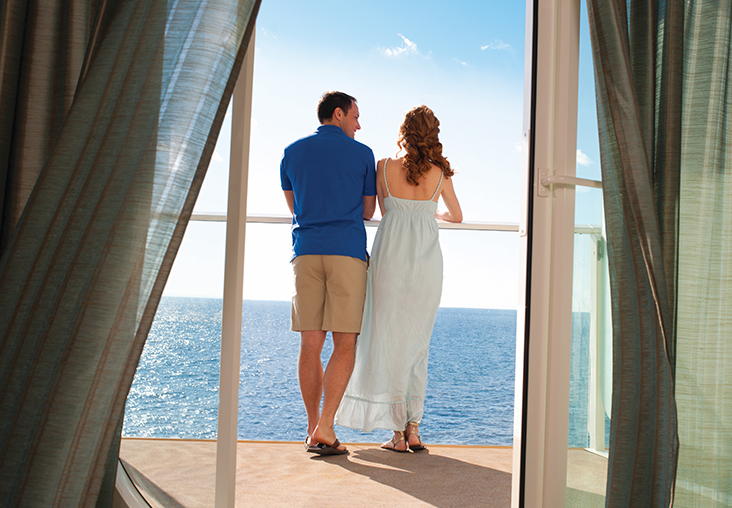 Receive up to $600 off or up to $600 in onboard credit per stateroom – your Client’s choice! Pay only $100 per person deposits on select fares! NextCruise is combinable with most Royal Caribbean promotions. Let our NextCruise Sales Team help return your business right back to you before they even get off the ship by encouraging your clients to book their next cruise onboard. Print our pre cruise document and have them bring it to our office for first class assistance! Let NextCruise benefit your client by giving them the richest offer around and we will lock in that future business for you!